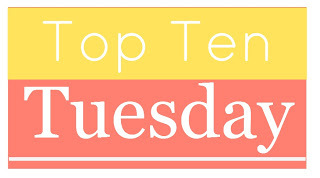 I’m at it again doing The Broke and the Bookish Top 10 for Tuesday list. This week, the list is for Top 10 words/topics that instantly make me buy/pick up a book! I thought this was going to be kind of a hard one, but after I thought about it for a few minutes, the topics/words just flew out of me. Check out what I came up with, and then let me know what would be on your list! 1. Dual-narrative romance: This is a recent one for me because I’m currently writing a dual-narrative romance myself. But the few that I have read, I just love. I love hearing it from both sides of the story and seeing how each character thinks differently. It also makes it that much clearer (when it is done right) why the two are perfect for each other. 2. Super powers: I have a thing for a story where a person has a power. Ever since I was little, I dreamed about flying. I would pray to God about it all the time as a child, trying to make deals with him. If you let me fly one time, I promise I’ll keep my room clean for a whole month! It’s actually pretty hysterical since now I kind of have a major fear of heights, but it’s something that’s always stuck with me. To be able to do something beyond normal human abilities. 3. Love: A sucker for it. Always have been and always will. If there is a clear romance plot to the story, I’m usually in. It makes it even better when it seems set up for failure because I love seeing love overcome all the odds. Basically, I love love. 4. Music: Preferably a boy playing guitar or a girl playing piano. Mostly because I don’t think there is anything much sexier than a guitar player and I personally play the piano. So I can relate to both those situations. But, really, any kind of music theme usually gets me. Music is deep passion of mine and I love reading about it. 5. Victorian-era: There is just something about this time period…or maybe it’s my obsession with British accents and their vintage clothing…but I love anything Victorian-style. 6. Different culture: There is a curiosity inside me to always be learning, and one of the most fascinating things to learn about, I think, is cultures and customs. When I read a book that takes place in another county with values or customs or even landscape that I’m not aware of, I’m instantly intrigued. The plot could even be a bit lax and I’d be okay because I’d still be taking in the new culture. 7. Dystopian: I love a good story that gives a hint of a possible future for mankind. These types of books have always made me think really hard about how different the future could be, and how some major changes could happen even within my lifetime. It’s scary and fascinating at the same time. 8. Fantastical/medieval world: Think Game of Thrones and you’ve got me. Anything that has horses and knights and kings and dragons is AWESOME. Oh, and castles. I love me some castles. 9. Journeys/Quests: If it is clear that the characters will be going on a journey or setting out on an epic quest, I can’t help but get excited. Here I am stuck in my boring life where I mostly never leave my little town, and these people are going on an epic quest. EPIC. I just love that word. What about you guys? What words or topics do you see and instantly, it makes you want to pick up or even just go ahead and buy the book right there? I’m definitely in love with love. I’ve also bought more than a few based on cover art!